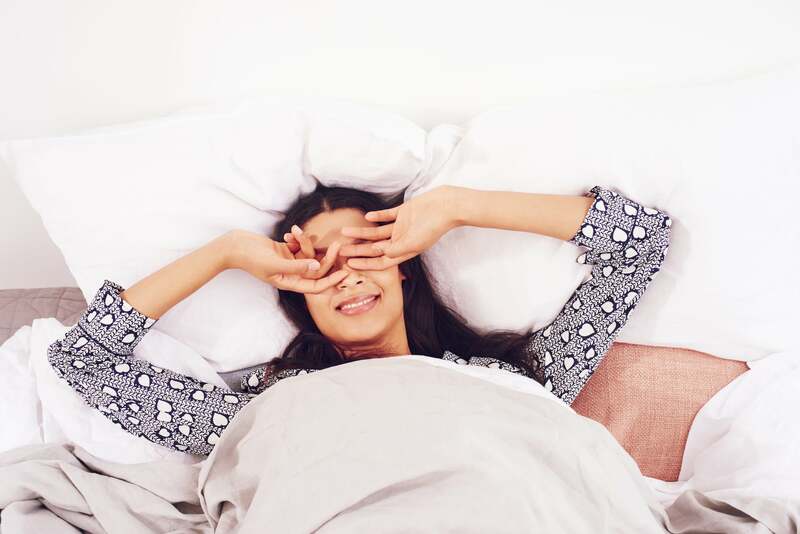 We know our nightly screen time is negatively impacting our healthy sleep routines, but the idea of going to bed, sans laptop, can be a hard pill to swallow, and sometimes it’s the only chance you get to catch up on your favourite Netflix show. However there’s a serious downside to this bad habit — you’re exposing yourself to blue light at the exact time you should be avoiding it. So although we really should be arguing that you shouldn’t be using electronics at bed time, we’re being realistic, and providing a solution for something you probably didn’t even know was ruining your life. Yes, you heard us correctly, blue light is real, and it could be ruining your life (well, at least ruining your chance at a good night’s sleep). Blue light has been proven to interfere with our production of melatonin, the hormone responsible for inducing sleep. So, if you’ve been sitting at your desk all day long, under artificial light, then you go home and continue with blue light exposure once the sun goes down, it’s no surprise you’re struggling to fall asleep. Thankfully there are a lot of options for reducing your blue light exposure, including these high-tech glasses. However, if you’re looking for a solution that’s free, easy and will allow you to keep using your devices at night (against our better judgement), we’ve got you covered. If you’re an iPhone user, there’s an inbuilt function on your phone exactly for this purpose. You can find the function, called Night Shift. Once activated, your phone will emit a yellow-based light that’s great for when you have to use your phone at night, or even for avoiding waking or disturbing a sleeping partner (or pet). But how can you prevent blue light exposure from your beloved Netflix? The best solution we’ve found is an app called f.lux. Marketed as a software that “makes your life better”, f.lux can be customised to adapt your computer’s light to correspond with the time of day. You can also let f.lux know your bedtime, and it will gradually dim your device, preparing your body for sleep. Cool, huh? The only downside is that the yellow light can alter how colours are displayed on your monitor, so we wouldn’t recommend using it while working on anything that requires colour accuracy. However, you can switch off the app at any time, or put it on standby, or “dark room mode” if you need. So, what do you have to lose? By reducing your exposure to blue light, you’ll find it easier to recognise tiredness, leaving you more in-tune with your natural sleep rhythm, resulting in a better nights sleep! It’s a win-win.